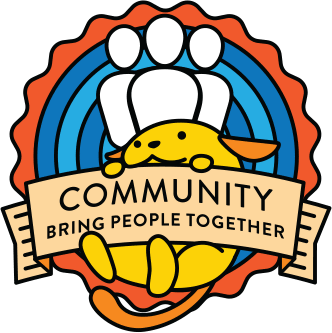 Imagine with me… a world in which planning a WordCamp did NOT require a Google spreadsheet to share or get shared to you. 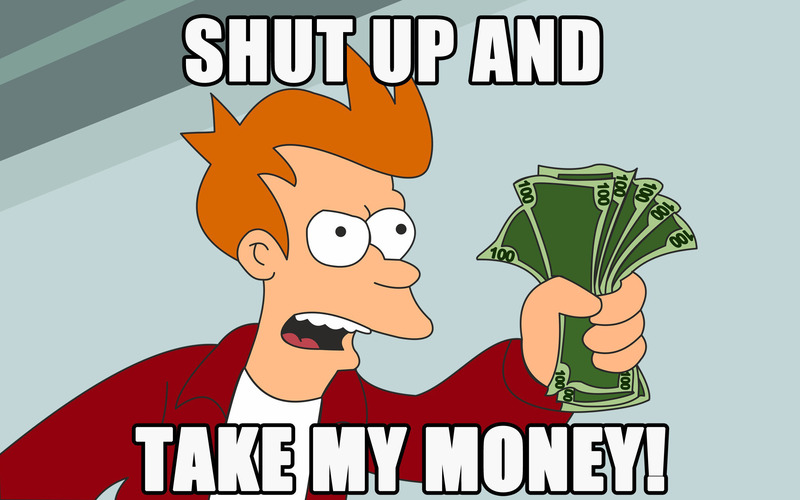 What if your budget lived *right in your WordCamp dashboard*? And what if… your dashboard budget was “automagically” updated with your live ticket sales, sponsor invoice payments, and vendor payment requests? Guess what? A beta version of this Budget Tool is already nestled in your dashboard right now (Dashboard > Budget > Budget), just waiting to be tested and improved by your feedback! EDIT: Enormous, gigantic, and in all other ways huuuuuuuuuuuge cred to @kovshenin, who worked his fingers to the bone, coding up this amazing new tool. He’s aces in our book. In the Preliminary Budget stage, you can enter event data (number of attendees, pricing from vendors, etc) and save everything to draft, as you’re looking at the way your event size and subsequent costs will affect your fundraising. If you change something, the row will turn peach as long as your changes are not saved. If you add a new row, that row will be green until you save your changes. 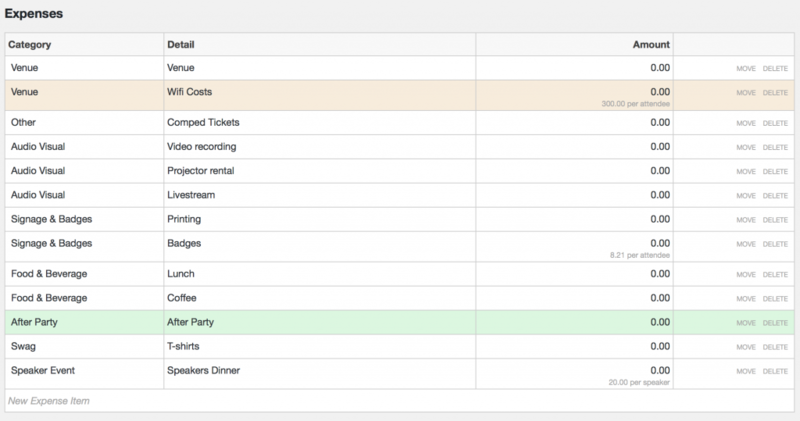 The Category field allows you to choose an expense category from a drop-down, and these categories match up to Central’s accounting software to help us with program-wide analysis of what WordCamps are spending on what. 🙂 If the expense you’re adding doesn’t match any of the choices, it’s ok to choose “Other”. The Detail field is where you can put the name of the actual expense, like Venue, Badges, Wifi, Lunch… the list goes on. Currently this field doesn’t wrap text, but that might be something we add if folks need it. The Amount field allows you to enter a simple value, OR! Check it out! If you click on the little chain icon on the left-hand side of this cell, a menu will appear, allowing you to set a cost calculation based on number of speakers, volunteers, speakers + volunteers, attendees, days, tracks, and ticket price x attendees (useful in the Income section). Using this feature, you can just enter a unit price — say for t-shirts, badges, or lunch — and then link it to the appropriate number in Event Data. Neat, huh? In the final column, you can click-and-drag “Move” to rearrange line items in the expense section, or to delete a line item altogether. The Income section has our old friends, the Category, Detail, Amount, and then “Move/Delete” columns. You can add and delete line items from this section as well, and when we connect the Budget Tool with the Sponsor Invoices tool, we can make cool stuff happen here — but for now, it’s pretty straightforward. You can make different line items for Early Bird Tickets* and Regular Tickets, etc. For now, you want to have a different line item for each sponsor or just have one line item for all local sponsors, it’s up to you! 🙂 Category for this section is fixed, right now. *Has everyone in the whole world heard me talk about how I think Early Bird Tickets are unnecessary? Yeah? OK, cool. At the bottom of the Preliminary Budget, you’ll see four buttons: Save Draft, Save & Request Review, Cancel Changes, and Submit for Approval. Save Draft: If you change something on the budget and want to keep that change, click this button. Save & Request Review: If your budget is ready for a Community Deputy to review, so that your event can be added to the schedule, click this button. When you do, the budget will still be open to editing, and an email will be sent to support@wordcamp.org to request a budget review.A deputy will contact you and set up a time to review the budget. Cancel Changes: If you’re been fiddling with the budget to test some theories (maybe you want to check what changing the event to three tracks instead of two would cost), but then you want to go back to the last version of the budget, use this button. Submit for Approval: Once your budget review is complete and the prelim budget is approved, you’ll click the “Submit for Approval” button and the deputy will then click the “Approve Budget” on their screen to freeze the approved budget. Then everyone will see two tabs on the Budget page: an Approved Budget tab, which is frozen, and a Working Budget tab, which can still be edited. The idea here is that we can keep a record of the budget as it was approved, while still having a place for organizing teams to update/monitor the event’s real-time financial status, and change things as needed. Things generally change between the approved budget and the final, after-event budget, and it’ll be helpful to be able to easily track those changes. These work like the buttons at the bottom of the Preliminary Budget page: Update Working Budget saves your changes to the budget, Cancel Changes reverts you to the most recently saved version of the Working Budget, and Reset to Approved Budget takes you ALL the way back to the Approved Budget values. A changelog feature that shows what admin changed what data on the budget, and when. We’re super-excited about this new tool, and we hope that you’ll test it out, break it in interesting and unique ways, and tell us all about it. 🙂 Please report issues or make suggestions for improving the tool by commenting on this post, and include in those comments whether you think your suggested feature or fix is v1, v2, or v3! Bravo and thank you to everyone who made this magick happen! Nicely done folks. I saw this the other night and we were all impressed. Sweet! Is this going to work for cases where organizers don’t run the money thru the foundation as well? Great question! The budget tool will work no matter how the money is handled; the eventual tie-ins with sponsor invoicing and vendor payment requests, etc, will not work though — since organizers who aren’t running money through Central don’t use those anyway. 🙂 In those cases, we’ll probably create a way to link the vendor payment request for the global sponsorship grant to the budget, just for fun. Huzzah!!! All the happy dancing! Wow. WOW. Seriously, this is beautiful! Congrats to @kovshenin & the team! Awesomagic!! I am racing to my computer for testing.